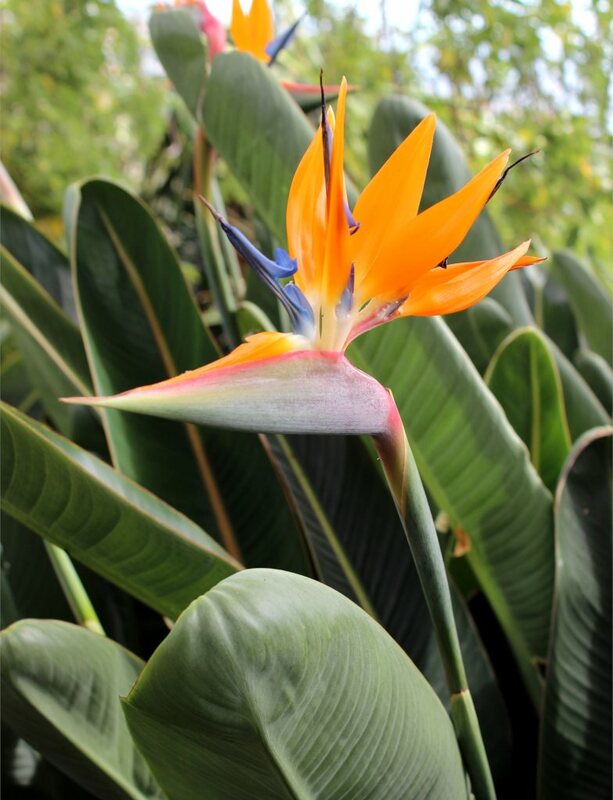 Strelitzia is a superb plant that comes from the tropics, boasting simply magnificent flowers and nicely dense leafage. Flowering – May to September. 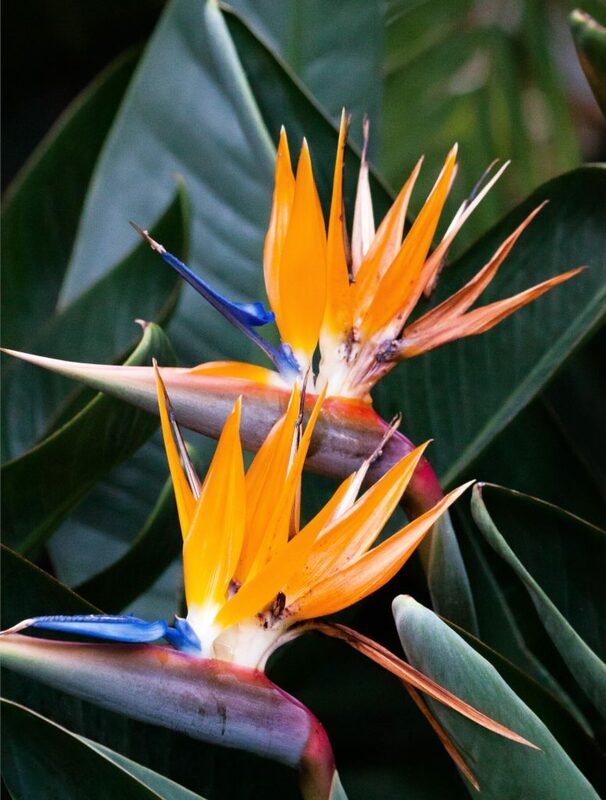 Strelitzia is sensitive to frost, even light frost below 35°F (2°C) and thus can only be planted directly in the ground in regions with mild enough winters. It normally lives in the warmer regions of the globe that offer rather tropical growing conditions and must be grown in pots and brought indoors in winter if this isn’t the case. rather moist soil, cool but well drained. it requires proper flower plant soil mix. avoid drafts and try to find a place sheltered from wind. anticipate repotting every 2 or 3 years on average in a pot that is slightly larger than the previous. 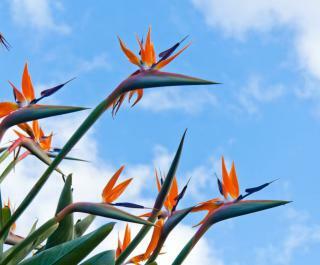 In summer, when the weather is hot, it is important to water your strelitzia often, especially when grown in pots. Watering in the evening is preferred to reduce evaporation. Reduce the watering in winter, especially for potted specimens. If the Strelitzia is well planted and its location suitable, it will only require little care. No pruning is actually necessary except if you wish to balance the shrub out. If so, favor light pruning. Eliminate dried leaves as they appear. If it was planted in the ground outdoors, it means your climate will allow for it, and so there isn’t much to do except to protect the plant if ever temperatures drop. In pots and in areas where winters are quite cold, proceed with bringing the plant inside to a spot where the temperatures stay cool. Position the plant in a luminous room. The room temperature must never drop below 50°F (10°C) in winter. This very beautiful perennial offers a unique yellow and red blooming that looks like an elegant quiver of arrow. Native to South Africa, it prefers rather warm climate of course if growing in the ground, otherwise you can plant it in a garden box and bring it indoors for winter. Its natural environment is around bodies of water, which is why it requires a certain amount of soil moisture to thrive. To increase blooming, you can add organic fertilizer in spring and renew the application once in summer.